The particular design of the Antares hull enables it to reach high speeds while also maintaining the course at a reduced speed with ease. Its seakeeping and smooth powerful movement through the waves make for a very comfortable boat. Despite its high speed capabilities with a reasonably powerful motor, it is nevertheless a very economical boat. The Antares has a design that enables the practice of cruising in excellent conditions. 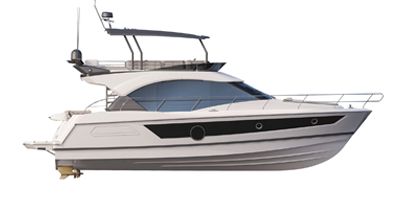 The Antares is a boat where you can always live well while cruising and where you will be proud to invite your friends.